Really superb Hawk for the Outdoors!, updating one of their classic frontier designs, H and B Forge have come up with the GOS-Hawk, a larger headed Polled Hawk designed specifically for Bushcraft type activity's. The cutting face is 3.75in, with the inside bottom beard beveled too for extra flexibility while making cuts, the head is recessed and the long handle provides stability and a variety of grips. 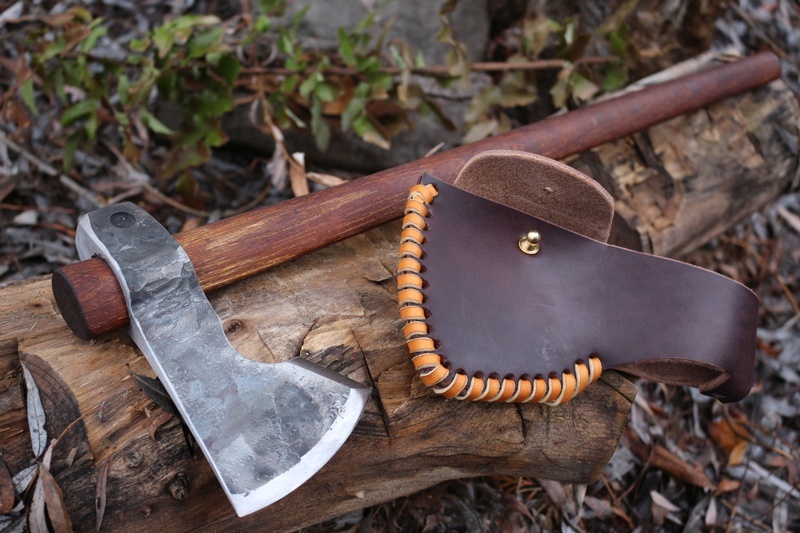 Maker says...GOS-GOING OUT SOLO.This hawk is designed to be your go-to camping tool. 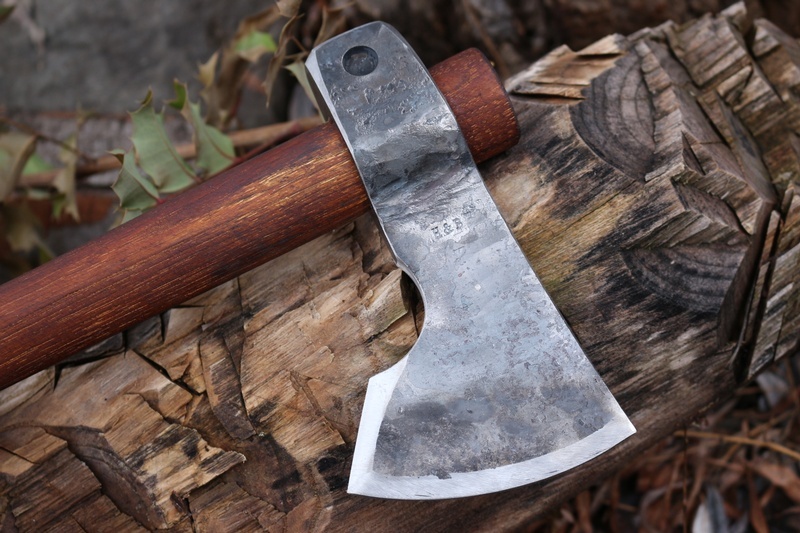 The newest Goshawk has a shorter blade with a little thicker of a bit. Absolutely perfect for heavier work and splitting tasks. DETAILS: The blade is about 3.75 inches wide from the top to the bottom of the cutting edge and 7.25 inches long from the top of the blade to the end of the poll. The head weighs about .85 lbs. The 23" inch handle weighs about .75 lb. giving it an overall weight of 1.6 lbs. 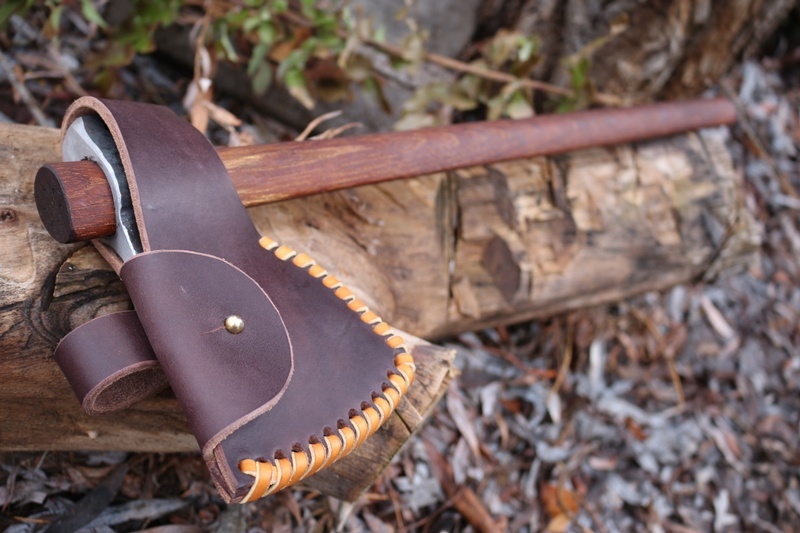 Purchase through PayPal by using the "Add To Cart" button above or use the form below to order the H and B Forge Handforged GOS-Hawk With Custom Cover . 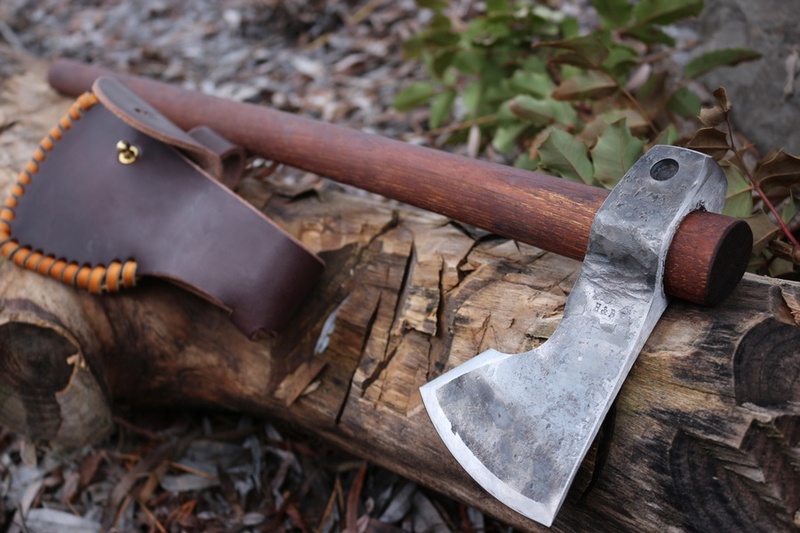 Feel free to contact us if you have any questions about the H and B Forge Handforged GOS-Hawk With Custom Cover .